I was watching a video of Tony Kono where he was explaining why squatting into the deadlift is wrong. The reasoning behind this struck me as extremely simple but powerful. He explained that the more open a joint angle is when lifting a weight, the more force can be exerted. In the case of the deadlift, the optimal alignment for open joint angles are hips inbetween the shoulders and knees, while the shoulders should get on top of the bar. Notice the relationship between the hips, shoulders and knees. Based on a person’s anthropometry this could change where the hips would be closer to the knees in case of a long torso, or the hips would be closer to the shoulders in case of a short torso. But this doesn’t change the fact that a person should strive to create that perfect relationship between all the joint angles where they can remain as open as possible, to ensure maximal force production. After all, everybody can stand up with more weight than they can lift off the floor. This is the reason why a person can lift the most weight in the deadlift – it’s a lift where joint angles can be kept as shallow as possible. Powerlifters, whose very sport depends on maximal force production, are masters of the open joint angle. 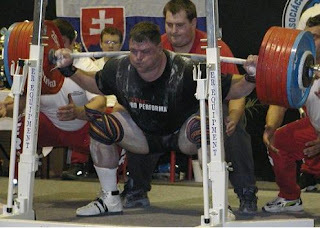 Look at a powerlifting squat vs an Olympic lifting squat – the knee angle of a powerlifter is kept as open as possible while the Olympic lifter flexes the knee as much as possible. Shallow knee angles let you move massive weights. Or the powerlifting bench. To keep shoulder flexion down, the bar is brought as low as humanly possible. 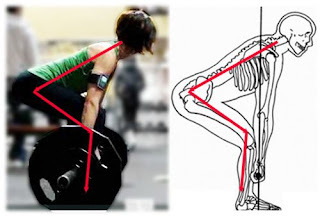 If your intent is to move massive weights, you must master the shallow joint angle concept. Stay tuned for part 2, which will be about injury management and prevention using the concept of open and closed joint angles.